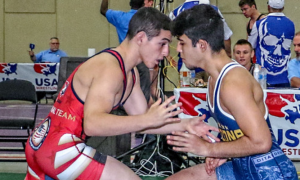 Note: this episode was recorded prior to the passing of World Champion & former NMU assistant coach Aghasi Manukyan. Listen to “5PM14: Northern Michigan’s Dalton Roberts” on Spreaker. 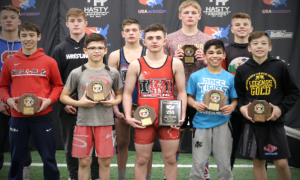 Episode 14 of The Five Point Move Podcast temporarily veers back to the previous format featuring just a single guest, but it’s a good one: two-time Junior World Team member Dalton Roberts (60 kg, NYAC/OTS, world no. 20). 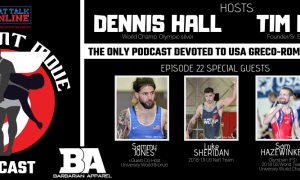 To inject even more juice back into the program, World Champ Dennis Hall reassumes his role as both the co-host and resident rabble-rouser, particularly when it came time to discuss several of the procedural wrinkles currently found in Senior-level Greco. 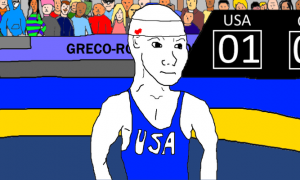 Roberts, 21, is one of the US Greco-Roman program’s most visible young stars. 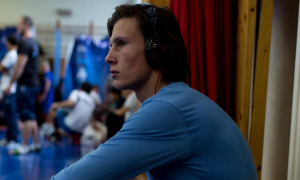 His hyper-competitiveness first became evident in 2015 when he surprised many around the sport by making the Junior World Team. A year later, he made the team again and later added a University National title to his resume. 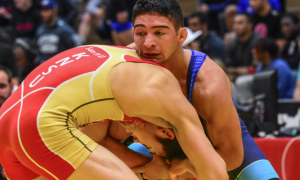 From that point on it has been steady rise atop the ladder for the Michigan native as he has since tacked on several international medals along with nailing down a spot on the inaugural US U23 World Team this past fall. One of Roberts’ most impressive performances is his most recent. 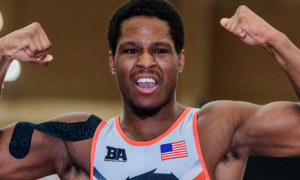 In February, he bounced back from a tough first-round loss to eventually earn bronze at the Granma Cup in Cuba, one of UWW’s new “Ranking Series” tournaments.